Nov 14, 2016 – iTech Post – The famous Japanese filmmaker, Hayao Miyazaki has revealed that he has come to a decision to suddenly step out of his retirement since 2013 after being inspired to work on and complete a new Japanese animated movie that can be compared to his previous works. Hayao Miyazaki recently went on a special broadcast titled, “Owaranai Hito Miyazaki Hayao”, translated as “The Man Who Is Not Done: Hayao Miyazaki”. The said special, which ran for 10 minutes, was aired by NHK TV on Nov. 13. It is the first exclusive interview with Hayao Miyazaki in two years. The special focused on the making of his new CG animation short titled, “Kemushi no Boro” or “Boro the Caterpillar”. He also opened up in the interview about his struggles working with CG animation for the first time in his 50-year career. He then stated that he will continue making animated shorts for the Studio Ghibli Museum located in Tokyo. Working on “Boro the Caterpillar”, Miyazaki realized that he was not satisfied with it just being a short animation. In August 2016, he submitted the said animated short for project proposal as a new feature-length film. “A story of a tiny, hairy caterpillar, so tiny that it may be easily squished between your fingers”, Miyazaki described vaguely when he was asked about the story of the animated short film. Miyazaki has been amazingly working on the story of the 12-minute animated short for 20 years now. Though the project proposal for a full movie has not yet been approved, he went on ahead anyway to work on the story and the animation. He is planning to create a storyboard that will consist at least 100 cuts of footage. Miyazaki has been working in animation since 1963 and founded Studio Ghibli in 1985 with Toshio Suzuki, Isao Takahata, and Yasuyoshi Tokuma. 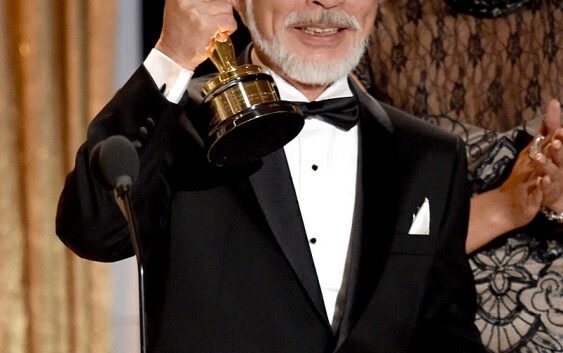 He was responsible for countless successful classics such as “Spirited Away” and “Howl’s Moving Castle”. His new work, “Boro the Caterpillar” will most likely be aired late 2017 and will be exclusively screened at the Studio Ghibli Museum.